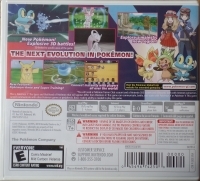 Box Text: The Next Evolution in Pokémon! • New Pokémon! Explosive 3D battles! • Explore a majestic new region! • New Features: Pokémon-Amie and Super Training! • Connect instantly with players all over the world! 02-10-2016 silverbow Box Text The Next Evolution in Pokémon! • New Pokémon! Explosive 3D battles! • Explore a majestic new region! • New Features: Pokémon-Amie and Super Training! • Connect instantly with players all over the world! 07-24-2014 Limeface Box Text The Next Evolution in Pokémon! 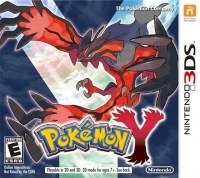 10-17-2013 empovyle Box Text The Next Evolution in Pokemon! 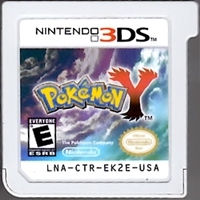 This is a list of VGCollect users who have Pokémon Y in their Collection.